If you were upset to hear that Penny Dreadful had ended, you are not the only one. Fans were saddened to hear that the British-American series would end after its third season, but it seems like there is still more to its story. The hit Showtime drama will now live on as a comic series from Titan Comics. 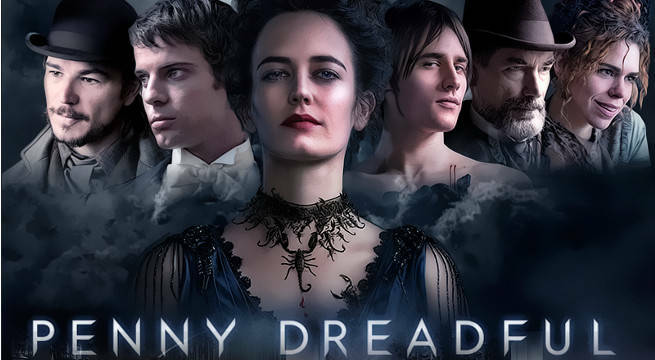 “Like all fans of Penny Dreadful, I am so thrilled that we're returning to the incredible world of the show,” said Lizzie Kaye, Penny Dreadful comic editor. “There are a lot of stories left to tell, and there is no one better to tell them than Chris King. What he's got planned will just take your breath away, and I can't wait for fans to see it all brought to life by artist Jesús Hérvas." The new comic book run will be canonical to the television series. Penny Dreadful will continue to expand its universe through a series of comic issues which dig into the pasts of characters like Dorian Gray and more. The comic will take place six months after the show ends. If you aren’t familiar with Penny Dreadful, then you should know that the show premiered in September 2014 to critical acclaim. The series’ title refers to a type of British fiction from the 19th-century which focused on supernatural, sensational topics. As such, the show borrowed characters from famous British and Irish stories like Dorian Gray from Oscar Wilde’s novel, The Picture of Dorian Gray. Other characters like Abraham Van Helsing, Count Dracula, Victor Frankenstein, Dr. Henry Jekyll, and others were featured on the series. In PENNY DREADFUL, some of literature’s most famous characters – including Dr. Frankenstein, Dorian Gray and iconic figures from the novel Dracula, all brilliantly reimagined in a whole new light -- came together in Victorian London. The ensemble cast of the television series was led by Josh Hartnett (Black Hawk Down), Timothy Dalton (The Living Daylights, Licence to Kill) and Eva Green (Miss Peregrine's Home for Peculiar Children, Casino Royale). Simon Russell Beale (My Week with Marilyn), Reeve Carney (The Rocky Horror Picture Show), Rory Kinnear (Skyfall), Patti LuPone (American Horror Story), Billie Piper (Doctor Who, Secret Diary of a Call Girl), Wes Studi (Hell On Wheels) and Harry Treadaway (The Lone Ranger) also starred.